Sun, sea, salsa. Why Cuba is a must see! 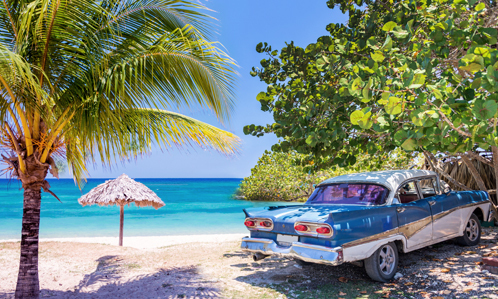 Combining exotic rhythms, friendly locals, and white, palm-fringed beaches, Cuba has been captivating the hearts and imaginations of sun-seeking travellers for decades – with good reason! With an enticing mix of Spanish and African roots, Cuba is the largest, most exciting island in the Caribbean, with something for everyone – including great value. 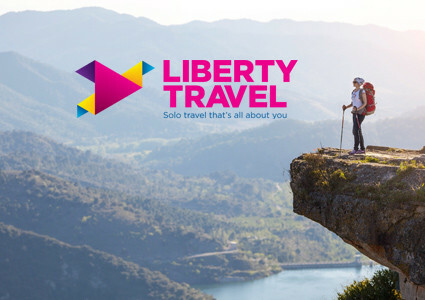 Our Travel Professional have put together their favourite insider tips based on years of on-site experience and recommendations to help you explore, unwind, and make the most of your Cuban vacation. 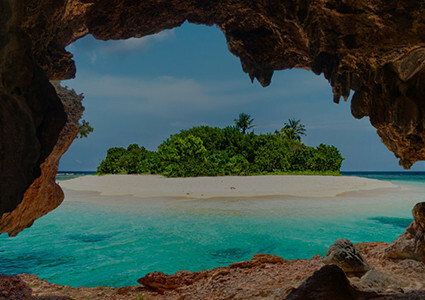 It may be just a short trip from the tip of Florida, but Cuba is a whole other world of exciting culture, exotic attractions, and an unbeatable escape for anyone looking to get away from it all, and soak up the sun on its beautiful sugar-white beaches that meet the warm azure blue waters of the Caribbean. There’s simply nothing like Cuba. 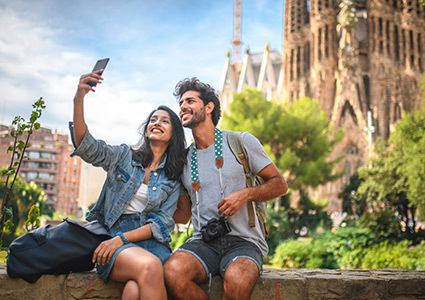 One minute, you’re immersing yourself in local culture amidst exquisite colonial architecture, with beatnik cafes, museums, art galleries, and salsa music drifting through the air. And just as easily, you can be stretched out on the beach under swaying palm trees, mojito in hand, and turquoise waters waiting to refresh. Or get off the beaten path and explore lush forests, coffee plantations, rugged mountains, and more. 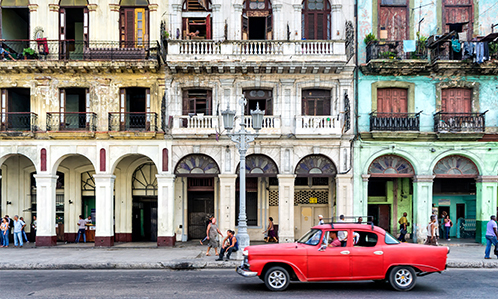 Cuba’s capital, Havana, is filled with bright, pastel coloured homes, storefronts, and cafes, and vintage cars. Dating back to the 16th-century, Old Havana in the city centre features stunning Spanish-colonial architecture, well-preserved squares, and grand palaces. Don’t miss Havana's spectacular Malecón – cruise or stroll this 7km-long sea drive, famous for attracting lovers, philosophers, and poets. The south-eastern town of Santiago de Cuba is considered the cultural capital, rich in Afro-Cuban heritage. Or visit the quaint, colonial village of Trinidad in the interior, and walk its cobblestone streets. For serious seaside sizzle, you’ll want to hit Varadero and Cayos de Cuba – both with fantastic beaches dotted with seaside resorts, ocean vistas as far as the eye can see – great for relaxing, or snorkelling and scuba diving. This is a country steeped in history that’s only recently become a major tourist destination. So it helps to know what to do, where to go, what to bring, and more. So let’s start with the basics. If you’re seeking grand boulevards, exquisite colonial architecture, plus oodles of great food, shopping, and nightlife, look no further than Havana – Cuba’s capital. Established in 1592, this bustling metropolis is home to over 2 million people, making it the fourth-most-populous metropolitan area in the West Indies. 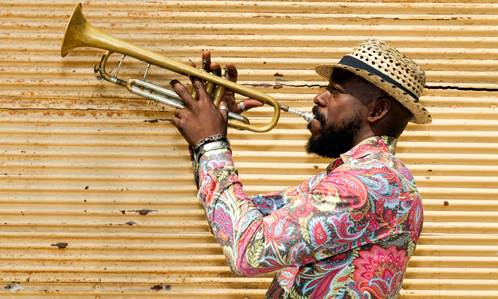 This is a city bustling with art, culture, great food and – of course – great music! Habla español? Spanish is the official language of Cuba, and about 90% of the people speak it, though many at popular tourist resorts, shops, and restaurants also speak English. Other languages spoken in the country include Haitian Creole, Lucimi, Galician, and Corsican. It may be called Cuba Standard Time, but Cuba is in the same time zone as Toronto, so there’s no time change – or jet lag – if you’re flying in from there, or neighboring cities. Flying in from elsewhere? Just make sure to set your watch accordingly. With warm temperatures year-round, just about any time is a good time to travel to Cuba, except hurricane season from June to November. 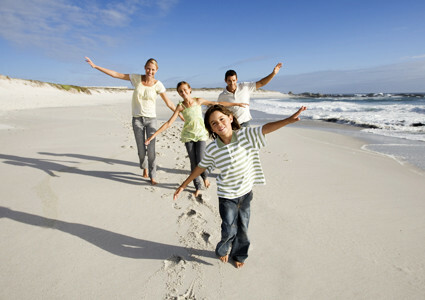 Most vacationers book travel from December to March. Carnival parties in July and August are also popular. Cuba has its own distinct currency with two different kinds of Pesos (₱). Locals use the Cuban national peso (CUP). Visitors use the Cuban convertible peso (CUC), conveniently on par with american dollars, so 1CUC = $1US. The tourist industry is set up to accept CUC. 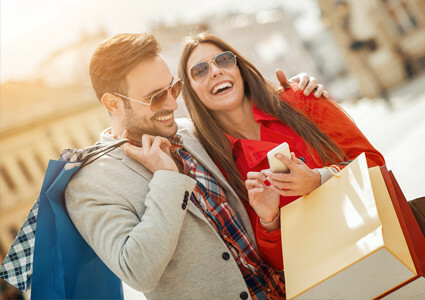 But if you want to explore locally, like shops, restaurants, markets, and taxis, you’ll need to buy CUP. Like Canada, Cuba operates on 110V. But many tourist hotels and resorts use 220V. Be sure to check which one your hotel uses before you go, so you can bring along adapters for your electrical devices. You can use Cuba’s telephone network to make calls inside the country and practically anywhere in the world. Many hotels and resorts also offer Internet and Wi-Fi, but be sure to check if additional charges apply. Flights to Cuba, as air-only, or part of a package, are plentiful, and many are non-stop, flying out of major Canadian airports daily. Many popular cruise lines service Cuba, or feature stopovers and day trips to Cuban ports as part of their itinerary. Some of the major cruise carriers include: Oceania Cruises, Norwegian Cruise Line, and Royal Caribbean. If you have a valid Canadian passport or a Canadian permanent resident card, you don’t need a visa to enter Cuba. You’ll get a tourist card (PR) onboard your flight, or at the airline counter when you check in. Just remember your passport should be valid for at least one month after your return date. Keep it light! Cuba is warm and tropical, so cotton and light fabrics are ideal. 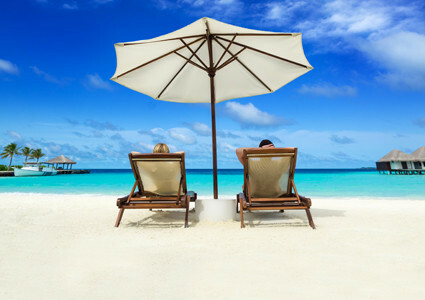 You might want to pack a light overcoat or sweatshirt, since resorts, restaurants, and tour buses are generally air-conditioned. And if you’re planning on a night out, or formal dining, be sure to pack something a little more dressy. Otherwise it’s all casual – all the time. With its Spanish and Afro-Caribbean heritage, Cuba offers a culinary mix centred around rice, beans, chicken and pork. And even though the culture is colourful and the food generally very good, it’s not always the most flavorful, as herbs and spices aren’t readily available. Cuba also produces some very good Lager beers, Cristal being the most popular, and soft drinks like Coke and Sprite are available almost everywhere. Located about an hour from Cienfuegos in the Escambray Mountains are the stunning El Nicho Waterfalls. Still little known to tourists, the falls are an ideal spot to enjoy the tranquility of the outdoors. You can take a relaxing dip in a clear, natural pool below the three falls. A refreshing oasis amidst abundant and lush vegetation. Looking to taste the flavours of Cuba? With sixties-style decor that will make you feel like you’re dining in post-revolutionary Cuba, this restaurant is our absolute top pick for anyone looking to try the local cuisine. The menu offers a culinary feast of fish, seafood and grilled meat to choose from. Our recommendation? The torre marinera—a guaranteed delight for your eyes and your taste buds! Love diving? Then make sure to add Playa Girón to your itinerary. Mostly known for its dive sites, the lagoon boasts an enormous variety of flora and fauna. Little explored by tourists, the area is still very well preserved. You won’t want to pass up on this golf club with an absolutely gorgeous ocean view. The remarkable landscape dotted with small lagoons is a sight to behold. And the best part? Without a doubt, we love the welcoming and dedicated staff! Let’s not forget Havana! Cuba’s cultural hub, Havana welcomes you with its unique history and colonial architecture. Let yourself get lost in the eclectic and friendly atmosphere of the city streets while admiring the vintage American cars that pass you by. Don’t miss the cathedral and castle while you’re there! Adventurers wanting to get off the beaten path can check out the Cueva de Santo Tomás. One of the largest in Latin American, the cave system offers 45 km of exploration and impressive discoveries including bats, stalactites and stalagmites, underground pools and a replica of an ancient indigenous mural. It’s a truly breathtaking tour! Trinidad is undoubtedly the best preserved colonial town in Cuba. Declared a World Heritage Site by UNESCO in 1998, this charming town is made up of a mixture of 1850s architecture and 1950s cars that feel frozen in time. You can enjoy a leisurely stroll along the cobblestone streets of this colorful and perfectly preserved town. The streets still remain charming as ever with their grandiose colonial mansions, the easily accessible surrounding countryside and the lively music scene. The Viñales Valley is surrounded by mountains with a landscape that is interspersed with spectacular rocky formations.The region is well known for its traditional farming techniques, and especially for its tobacco production. The quality of this cultural landscape is enhanced by the architecture of its farms and villages. You can also find several rum and cigar factories. Cuba’s second largest city will leave you amazed by its unique cultural identity and natural landscape. It’s well-known for its distinct vegetation compared to the rest of Cuba, some of the most well preserved dive sites in the Caribbean, and Presidio Modelo, the famous prison where Fidel Castro was once incarcerated. 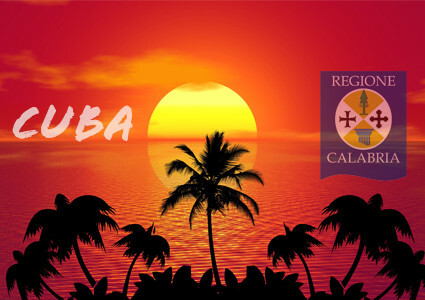 Varadero is one of Cuba’s undeniable tourist hotspots. 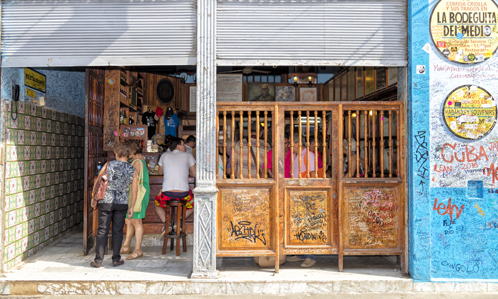 A city of sun and relaxation, Varadero also offers restaurants and boutiques for your urban wanderings. 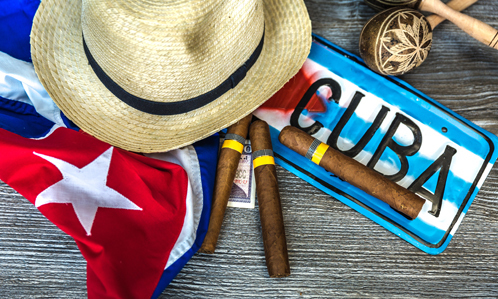 Look no further than 1st Avenue to pick up some Cuban cigars and the famous local rum Havana Club.